Senior care at New Hope Bay is modeled after our award winning sister company New Hope Valley located in Saginaw. 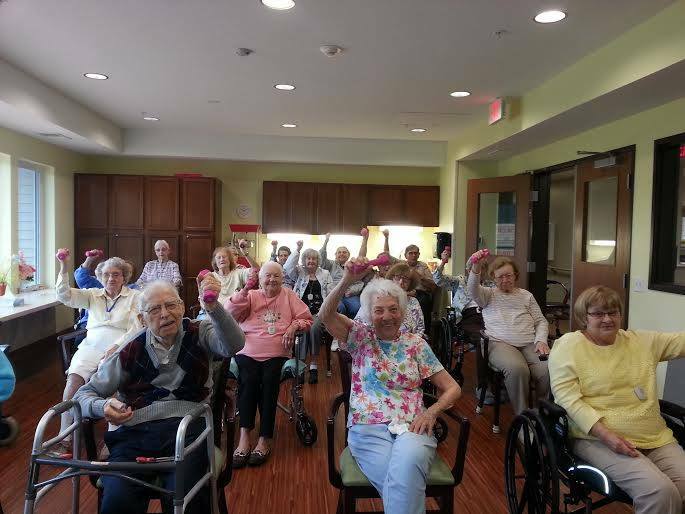 This Senior Care Community has been selected as a “Caring Star” of 2014 and 2015, as part of an annual nationwide program that honors excellence in service based on consumer ratings and reviews posted on Caring.com, the leading senior care website. Reviews from families, seniors, and others concerned about assisted living and Alzheimer’s care, New Hope Valley Assisted Living captured a 5-star consumer rating (the highest possible score), while also meeting other qualifying criteria for the honor.About 400 communities – the top 1% of assisted living communities nationwide – achieved this recognition. Andy Cohen, cofounder, and CEO of Caring.com, said, “Congratulations to New Hope Valley Assisted Living and Memory Care for achieving this high praise from the residents and families they serve. The Caring Stars award badge signals a history of service excellence, further helping those seeking the best-assisted living or Alzheimer’s care community for their loved ones.” To read reviews of New Hope Valley on Caring.com, please click here or to see what our community life is like at our Saginaw location visit it’s Facebook page.